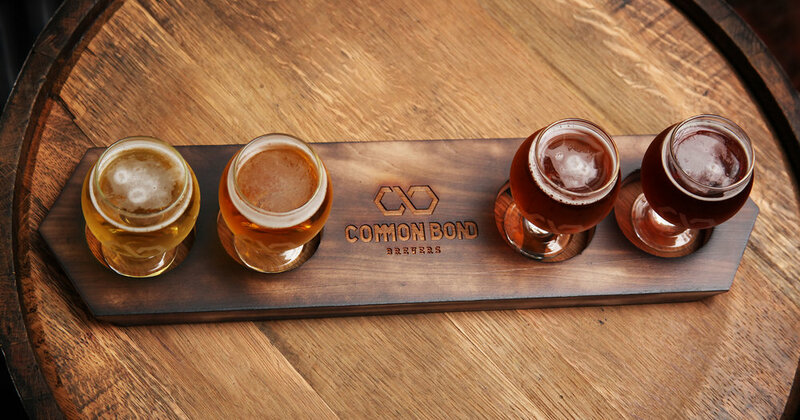 Located in Montgomery’s revitalized downtown entertainment and business district, Common Bond is proud to serve up craft beer in our open brick-and-beam style taproom. Whether you’re new to craft beer or a long-time enthusiast, you’re sure to find something to your taste or discover something new. 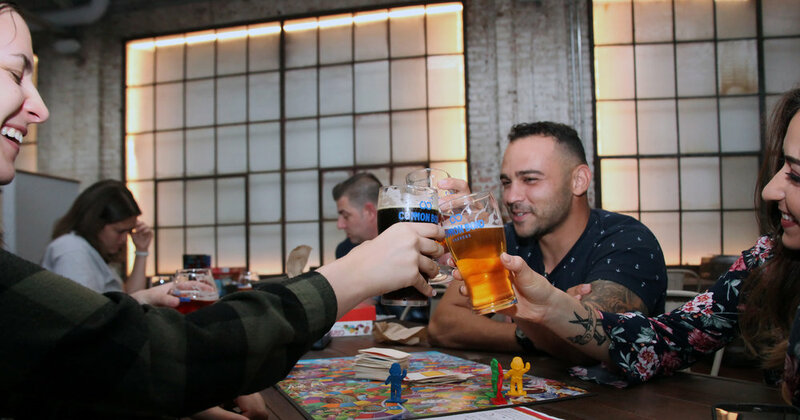 The city’s only production brewery, we believe that great beer can help people connect — so stop by, linger over a pint, and share a Common Bond. With an emphasis on quality ingredients and a nod to local flavors, our beers cover a range of American and European craft styles. Whether from our year-round flagship offerings or seasonal special releases, you’ll always have a well-poured pint. Settle onto a bar stool or a comfy couch, relax and give our latest draft offerings a try. With a clear view into our production facility, you can sit back and watch the quality and pride that go into every batch of Common Bond. Join certified yoga instructor Brittany Strickland in a 60-minute, all-level Yoga class with a complimentary beer flight or pour! This is a ticketed event.